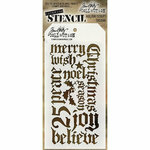 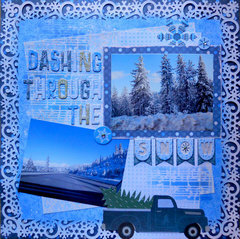 Enhance your Christmas projects with texture and style with the versatile Concerto Layering Stencil! 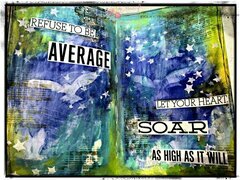 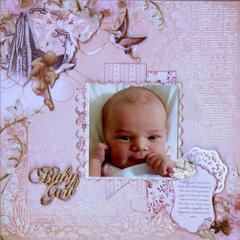 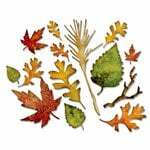 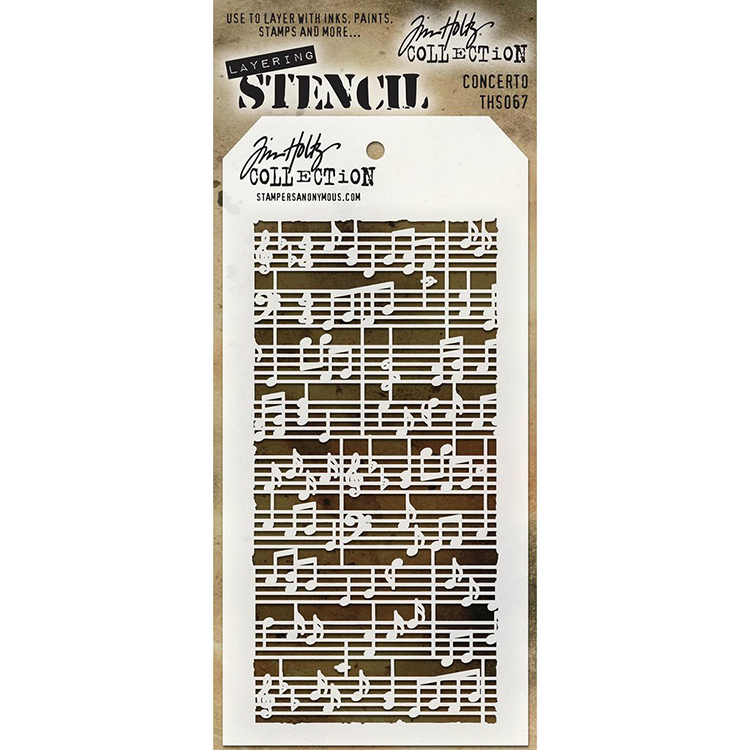 The package includes one 4" x 8.5" stencil from Tim Holtz for Stampers Anonymous. 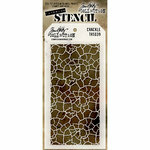 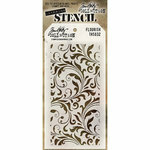 This stencil can be used to easily create layers of paints, inks and stains. I have been slowly building my Tim Holtz stencil collection and was happy to find the Concerto. 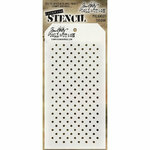 The quality of these stencils makes the price very worthwhile. 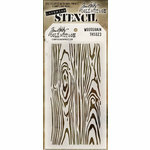 Another example that proves you really can trust any product that carries the Tim Holtz name.